When I started Passions Pilot, in my head, the way to approach organisational questions was clear. For me, it was a matter of giving you the techniques for organising and productivity, that I have learnt. You would implement these techniques in your life, and everyone would be happy. 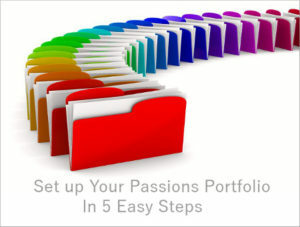 That is one reason why I created the course ‘Setup Your Passions Portfolio in Five Easy Steps’. It is a flexible solution to keep an overview and manage all your different projects. But you get the best results by doing this course when you already precisely know what you want, what your goals are and what you would like to accomplish. And I learnt that for some people, this is a big issue. So many people, multi-potentialites and specialists, are trying to find out what their purpose in life is, why they are here on Earth. Most people speak of ‘Finding’ your purpose. It’s very passive. As if your purpose is something that is hidden somewhere out there, in a wood, in a city, under a rock, or whatever and suddenly like by coincidence, you find it, and you know: ‘This is your life’s purpose’. Maybe it is possible to ‘find’ your life’s purpose, while you’re going for a walk, or while you’re in the shower, or while meditating, and by divine intervention, you get this epiphany. 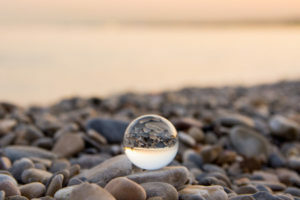 Your life’s purpose has now become crystal clear to you. 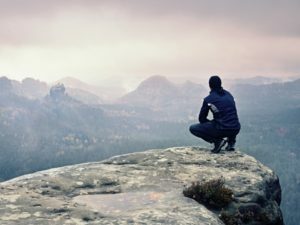 Is it better to say you discover your life’s purpose? It’s less passive. So you go on a quest to discover your life’s purpose, and after some time, you discover it, like Christopher Columbus discovered the Americas. Perhaps, this happens while you’re on a retreat or at a self-development course. I prefer to speak of ‘defining and developing’ your life’s purpose. The difference is that it’s YOU who is in control of your life. You have the choice, and you are the one who decides about what your life’s purpose(s) could be. In my blog post ‘One lifetime is not enough’, I give you a top-down approach to develop your life’s purpose. For some people, this approach is too abstract. Some people need tangible and practical things as a starting point and prefer to use a bottom-up approach. We multi-potentialites have scattered minds. It’s like the Big Bang took place in our heads and from then on, the Universe inside our heads is expanding… If we could just bring everything back together, we would know who we really are and what our life’s purpose is. You would be able to see the bigger picture. And this is the way how to do it. What is important, is to get to know yourself. Know what you love to do and what you’re good at. If you don’t know this yet, then don’t worry about your life’s purpose. Instead, keep exploring, experimenting and trying all kinds of different activities and different roles, until you know what you love doing and what you’re good at. Action will give you clarity. You can also use the ‘Johari window’ to find out what other people think you love and you’re good at. You will be surprised! 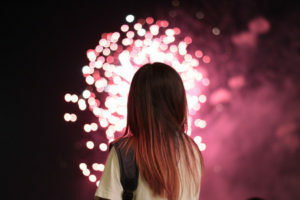 The next step is to make a list of all those things that you love to do, that you’re good at and that make you happy. Write on that list, also the things you do every day anyway. Sometimes, it also helps to make a ‘negative’ list of everything you are doing, because in your situation, it needs to be done but what you dislike or hate doing. When you’re looking at your groups of topics or goals, see if there are any similarities. E.g. what they have in common is that it’s all creative work, or it’s all related to sports. These are already indications of high-level things that you find important. Note for multi-potentialites: Don’t worry if you still find ‘a lot of’ big groups. See if you can have a group per role that you’re playing in your life’s movie. These are your strategies. The next step is to look inside of yourself if you’re voluntarily limiting your actions because of any values or beliefs that you have. This is rather good than bad. E.g. One of your goals is to become a manager, but you don’t want to play any political games. Try to name your values and beliefs. E.g. Integrity, authenticity, respect, etc. And choose 3 to 5 of these values that are the most important to you. These are your core values. The last two steps are about defining your mission and vision. To do this, you need to think on a general, rather abstract and very high level. And see if you can combine all the work that you’ve done before, in one sentence. Your vision is one big picture of how you want your world to be. And it is your big WHY. Your mission states what you will do so you will achieve your vision. This is a global and high-level statement of WHAT. I know that for multi-potentialites, it is difficult to choose only one vision and one mission. Actually, it’s not, about choosing just one. It’s about putting it all in one sentence. If there are still a lot of items you want to add in your one sentence, then you’re not thinking high level enough. At this level, you don’t need any details. E.g. instead of saying “My mission is to change the education system, politics and how people see multi-potentialites, and bring positive change for the poor.”, you can say “My mission is to bring positive change wherever it is within my circle of control”. That includes even more than the education system, politics, multi-potentialites and the poor. The same is valid for your vision. Instead of saying “I want a world in which I can be a pro basketball player, film producer, game developer and engineer.”, you could say “My vision is a world in which everyone has the freedom to become whatever he wants to become”. So, in general, information is given to us in bits and pieces. It’s like those drawings for children in which you get an amount of numbered dots, and you need to connect the dots in the right order and then… you get to see the picture. In real life, you get all the dots without the numbers, one here, another one there. And it’s only after you have a lot of dots that you can start connecting them and that you can see the big picture. The work to connect all the dots is your job. The reward you get is to see the whole picture after all the dots are connected. This global picture is your life’s purpose.